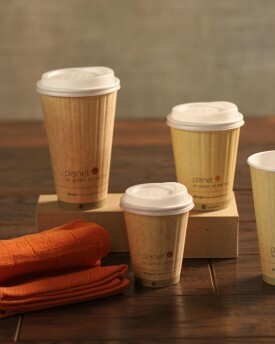 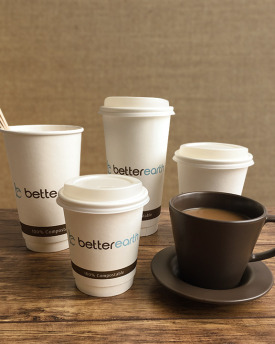 Our hot cups and lids are sturdy, stylish, and 100% compostable. 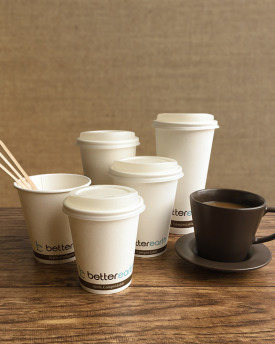 These cups utilize a revolutionary new biopolymer liner made from natural plant sugars. 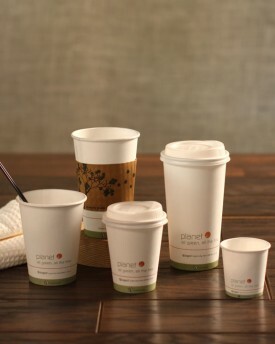 Available with single wall and double wall.